Tyson Fury is also in no position to be fighting Joshua right now. 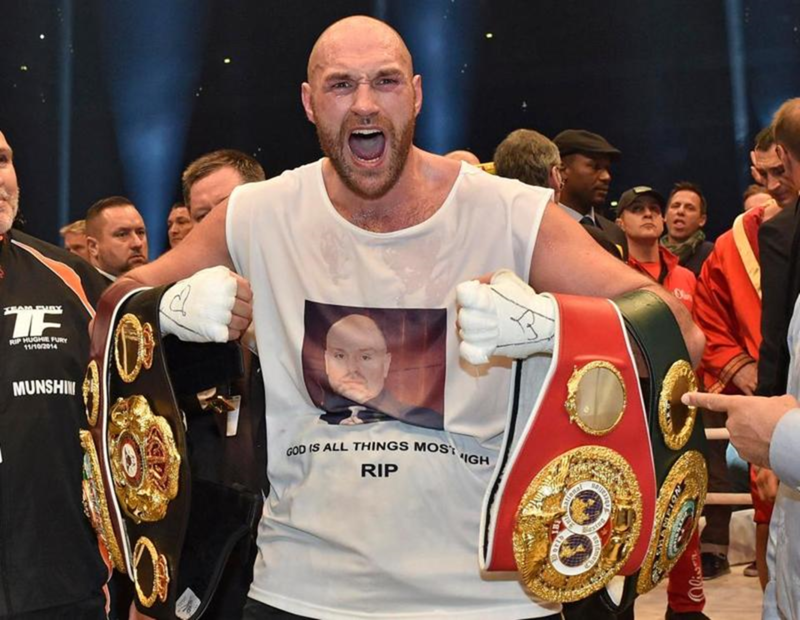 Lineal heavyweight champion Tyson Fury 27-0 (19) has spoken up about the conversations that went on outside of the public eye that helped him secure his fight against WBC heavyweight champion Deontay Wilder 40-0 (39) at the Staples Center in Los Angles, California this Saturday night. The 30-year-old Englishman effectively ambushed promoter Eddie Hearn, who was engaged in very public negotiations for a fight between Wilder and his fighter, unified heavyweight champion Anthony Joshua 22-0 (21), by taking matters into his own hands. As he sat on the sidelines watching talks for the Joshua-Wilder fight drag on, Fury decided to make direct contact with the 33-year-old American knockout artist. “I’ll tell you what happened. Wilder will tell the story better than me because he’s got the messages in his phone,” Fury said to iFL TV. “When this whole situation was going on with Joshua and Wilder, like they were supposed to fight and then they weren’t fighting, they were asking this much money, that much money. “I sort of thought to myself, you know what, everyone is getting excited about these two fighting and it’s not going to happen. “So I text Wilder and I said, ‘Look, forget Joshua, he’s not the real deal, he’s obviously got no bottle, but if you want to fight a real fighting man, who will step up and defend the country, then you’re looking at the right man’. “I said, ‘You send me the contract, I will not decline’. “He said, ‘Yeah, let’s do it. F*** Joshua. Let’s do the fight. Let’s give the fans what they want’. “So the deal was made very quickly. I phoned Robert [Smith], Robert got on the phone to [Wilder’s] manager and promoter, and the deal was done within a week.